Charges have finally been pressed against eight militants over Bangladesh’s most horrific terror attack in 2016 that left 22 people, mostly foreigners, dead. Monirul Islam, chief of Bangladesh’s Counter-Terrorism and Transnational Crime (CTTC) unit, on Monday submitted the charge sheet against the accused in a case before a court in Dhaka, Xinhua news agency reported. Of the accused, he said six Neo-JMB (an offshoot of banned militant outfit Jamaatul Mujahideen Bangladesh or JMB), operatives are now in jail while the two others are on the run. Five gunmen stormed the Holey Artisan Bakery cafe in Dhaka’s diplomatic area Gulshan on July 1, 2016. They then brutally killed the hostages with guns and machetes, and used the victims’ phones to publish images of the bodies on the social media. Nine Italians, seven Japanese, two Bangladeshis, an Indian and a Bangladeshi-born US citizen were among the 20 people hacked to death by the attackers. The gunmen also murdered two Bangladeshi police officers in the early hour of the attack. Around 12 hours later, Bangladesh Army commandos stormed the restaurant. Five attackers were killed. Islamic State (IS) had then claimed responsibility for the Dhaka cafe attack. But Bangladeshi authorities rejected the claim, saying operatives of a banned local militant outfit plotted the attack to boast about their existence. 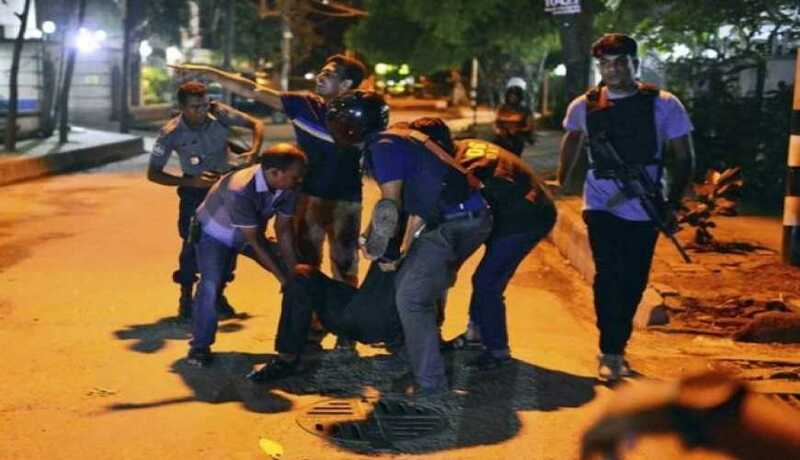 Since the deadly cafe attack in Dhaka in 2016, Bangladeshi police have tightened anti-militant drive and conducted series of large-scale operations against militants, killing and arresting scores of militants. Tamim Ahmed Chowdhury, a Bangladeshi-Canadian, and Sarwar Jahan, identified as Neo JMB chief who was killed during a raid later, have been blamed as the mastermind of the brutal attack. Chowdhury was also killed in a police raid.